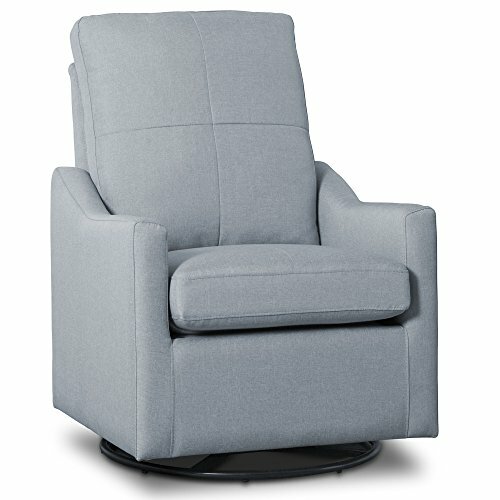 Create a complete nursery with the Serta Fall River 5-Piece Nursery Furniture Set in Grey, Bianca White and Dark Chocolate. 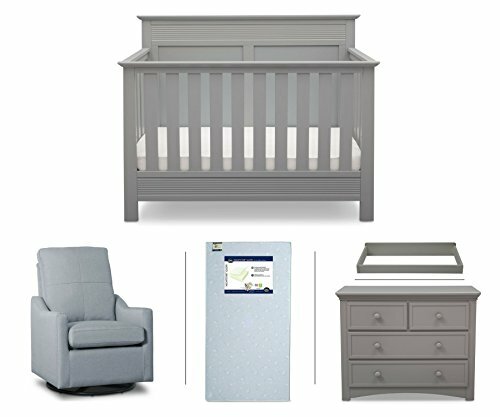 Every piece in this versatile collection is full of timeless design details and makes it easy to transform any room into a welcoming nursery for your baby. 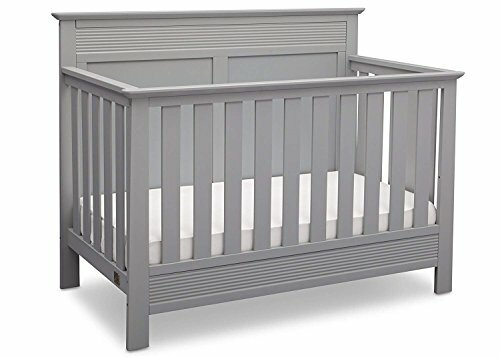 5-Piece Set: Set includes a Convertible 4-in-1 Crib that grows with your baby through 4 stages, and is the only sleep space your child will ever need. As a crib, it features 4 mattresses height positions that allow you to lower it as your child grows. 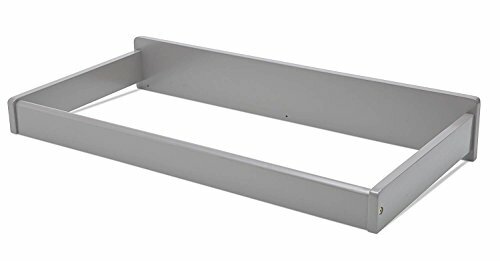 Once your little one is ready to make the transition to a ìbig kidî bed, it effortlessly converts into a toddler bed, daybed, and lastly, a full size bed (Toddler Guardrail #0080 and Full Size Platform Bed Conversion Kit #700850 sold separately). 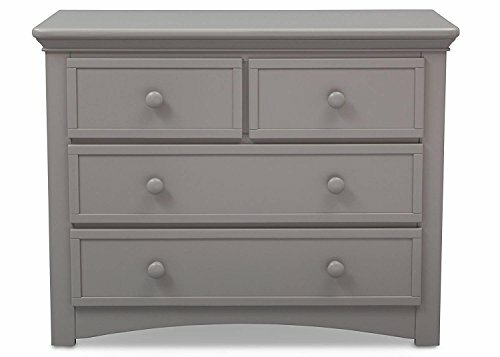 The set also comes with a coordinating 4-Drawer Dresser with safety stops that prevent the drawers from falling out, as well as a Changing Topper that transforms the dresser into a convenient changing station. 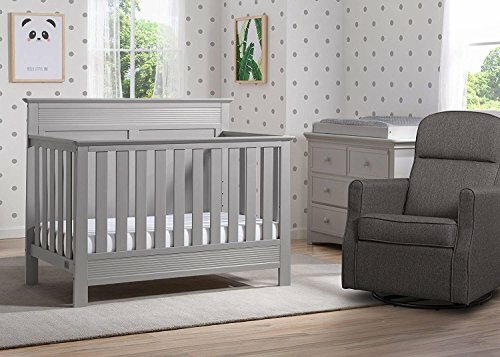 Purchase Serta Fall River 5-Piece Nursery Furniture Set (Serta Convertible Crib, 4-Drawer Dresser, Changing Top, Serta Crib Mattress, Glider), Grey/Light Blue at Discounted Prices ✓ FREE DELIVERY possible on eligible purchases. 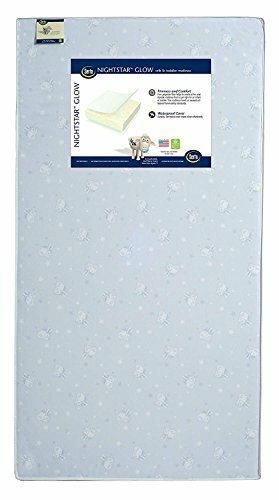 Nightstar Glow Crib and Toddler Mattress features: firm thermo-bonded polyester fiber core | Waterproof vinyl cover | GREENGUARD Gold Certified | Made in USA (mattress ships separately)| Enjoy Free shipping. For your convenience the trucking company will personally contact you to select a date and time that suits your schedule best.